The Inaugural Washington DC Sharkfest Swim benefiting Special Olympics International will be hosted at the National Harbor. This amazing venue is the perfect spot for your first open water swim, or your hundredth. 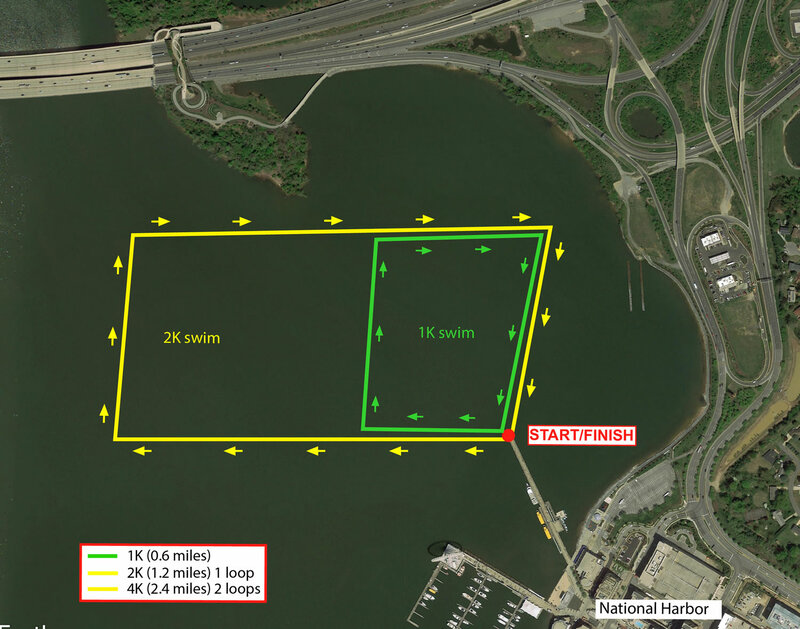 The course is just right for first time and novice open water swimmers as the National Harbor provides a very calm and protected swim area. There will be three distances: 1Km, 2Km and 4Km. All three distances will start and finish off the Pier at the National Harbor. We will be staggering the starts so that you can swim BOTH the 4Km & 1Km, or BOTH the 2Km & 1Km. Athlete check-in, race day registration and awards ceremony will take place at National Harbor Plaza. 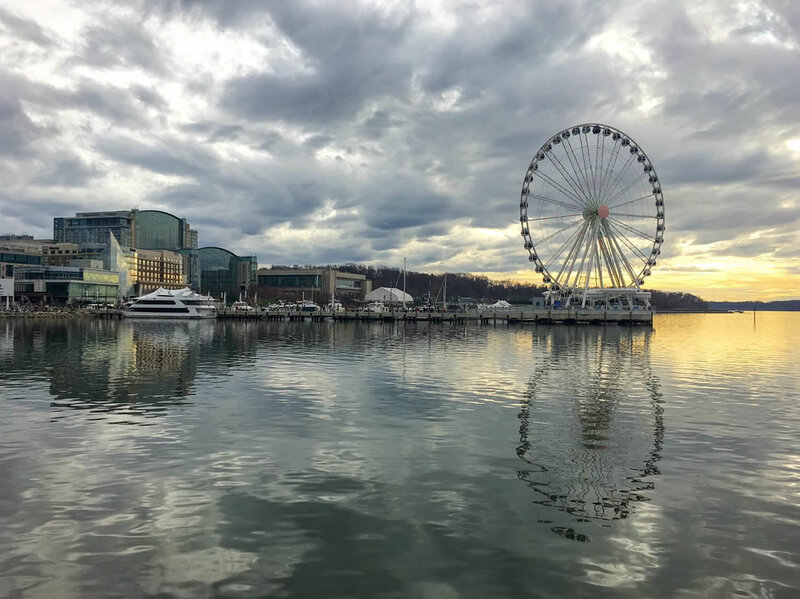 National Harbor is a unique waterfront wonderland with the Capital Wheel and The Awakening (art sculpture) and will be a fun spot to bring the whole family to enjoy time together after the swim. PLEASE NOTE: This is a great swim for novices and first timers. We do recommend that 4K swimmers be able to swim one mile comfortably in a pool in under 40 minutes. (18 & up) You will be participating in BOTH the 4K and 1K races. ATHLETE CHECK-IN: 6:30-7:40AM for 2Km & 4Km, 9:30-10:00AM for 1Km, at the National Harbor Plaza, where you will have your hands numbered with your race number and pick up your swim cap. INCENTIVES: T-Shirts for all participants. Sharkfest Swim Medals for top three finishers in each age group. Personalized award plaques will also be mailed to the first place overall male & female finishers in each distance. AGE GROUP BREAKDOWN: Male and Female: 9-10, 11-12, 13-14, 15-17, 18-24, 25-29, 30-34, 35-39, 40-44, 45-49, 50-54, 55-59, 60-64, 65-69, 70-74, 75-79, 80-84. PARKING: There are paid parking garages at the National Harbor. CANCELLATIONS: Registrations are non-refundable. If you can no longer participate in this event, you may receive a rollover credit (minus a $20 processing fee) toward a future event as long as you let us know by May 23 2019. After that date, a doctor's note is required to receive a credit.